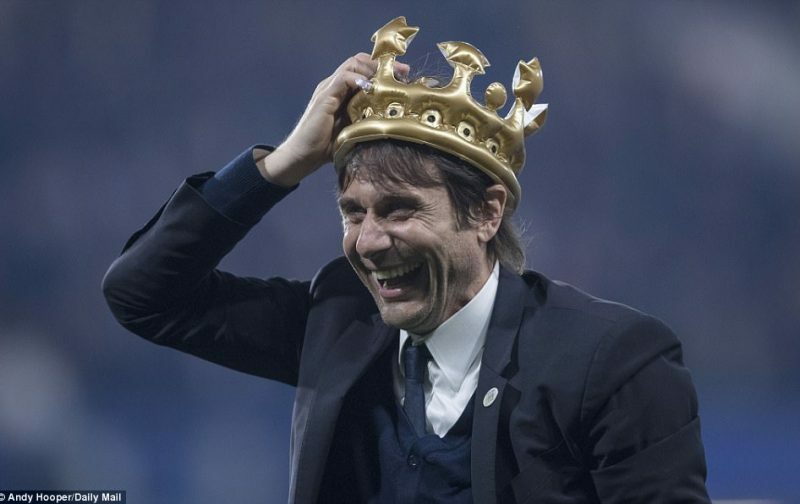 Antonio Conte was spotted at Italian restaurant Gola on Fulham Road in west London with a number of his backroom staff after Chelsea clinched the title, and the restaurant with exclusive pictures is featured in the new book “King Conte” now available for pre-order at ChelseaFan12. In a video, posted on the restaurant’s Twitter account, Conte can be seen opening a bottle of champagne at the venue where there will be a launch and book signing session in two weeks time. The hardback limited edition is only available at ChelseaFan12, while the paperback is now available on pre-order on Amazon. Perfect end to a perfect day. Conte is the new ‘Special One’ in the eyes of Chelsea fans who adore the passion of the Italian with a steel in his eyes – and a spark in his heart. Now Conte’s sights are set on a Premier League/FA Cup double – and an affirmed place in Chelsea history. But, dinner first…. Conte raises a glass after allowing himself and his backroom team a night off from their jobs.